WASHINGTON (AP) — The Columbus Blue Jackets' NHL-worst power play scored twice and Sergei Bobrovsky made 33 saves in a 2-1 victory over the defending Stanley Cup champion Washington Capitals on Friday night. Oliver Bjorkstrand scored in his return to the lineup and Anthony Duclair had his seventh goal of the season for Columbus, which has three power-play goals during its two-game winning streak. It entered the night 7 of 59 on the power play, an 11.9 percent conversion rate that was last among the league's 31 teams. Bobrovsky bailed his teammates out on a turnover-filled night that saw him face 34 shots. Fellow Vezina Trophy winner Braden Holtby did the same for the Capitals, stopping 34 of the 36 shots he faced. Washington's two-game winning streak came to an end despite a power-play goal from Matt Niskanen and strong play at 5-on-5. 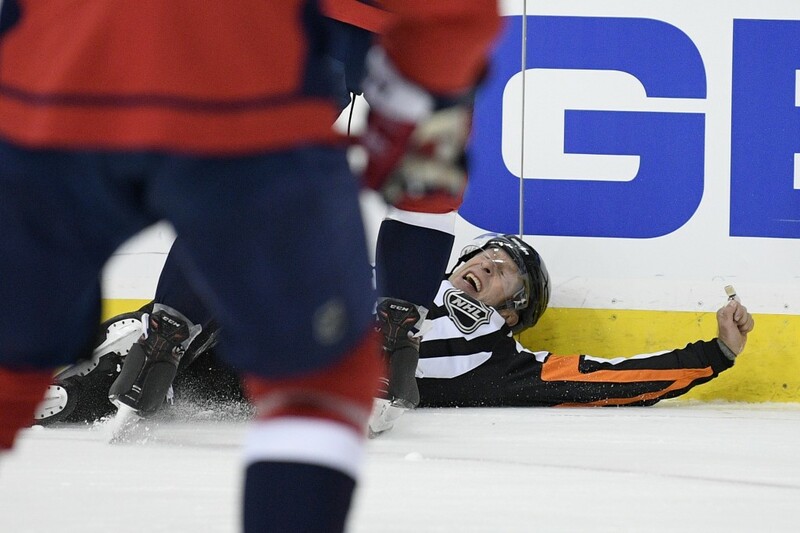 The Capitals haven't allowed an even-strength goal in their past three games. The Blue Jackets were back in town for the first time since Game 5 of the first round last spring. They blew a 2-0 series lead and lost in six. Coach John Tortorella said before the game he was ready to move on and tired of talking about last year's playoffs. 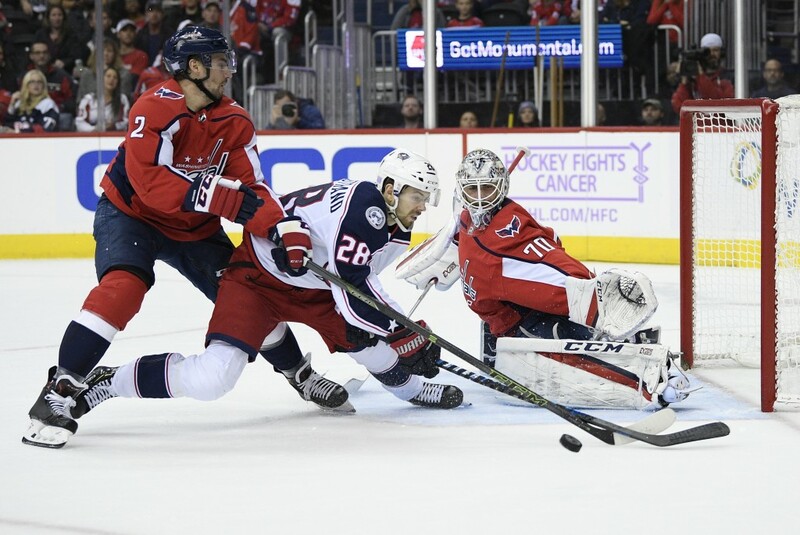 Bobrovsky was certainly more dialed in Friday than he was when that series slipped away, making several important saves on two late penalty kills to give Columbus the victory. Bjorkstrand rewarded Tortorella for putting him on the top line and the power play in place of right wing Cam Atkinson, who missed the game with an illness. Niskanen scored his goal from the point on Washington's top power-play unit in place of defenseman John Carlson, who's listed as day-to-day with lower-body injury. NOTES: Referee Brad Meier left in the first period after losing an edge and appearing to twist his right knee. 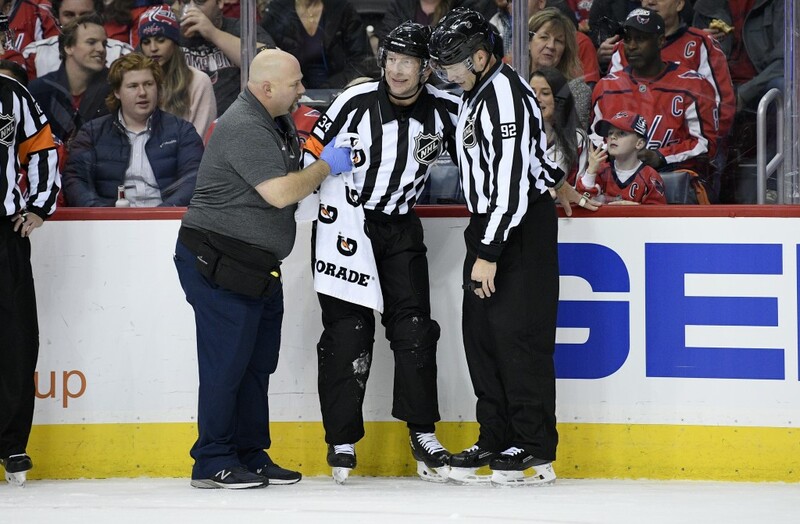 Meier needed help getting off the ice, and the NHL said he had a lower-body injury. The game finished with three officials. 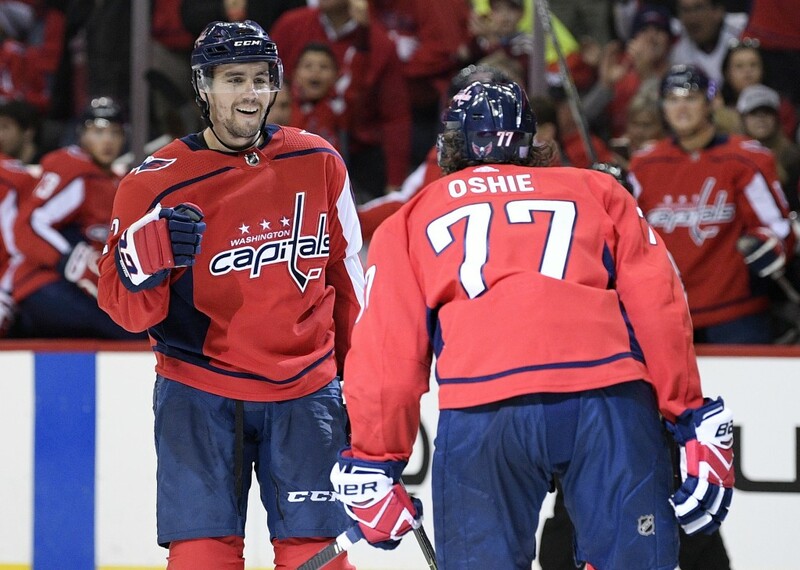 ... Capitals D Jonas Siegenthaler made his NHL debut, taking Carlson's spot in the lineup. ... Washington placed D Brooks Orpik on long-term injured reserve. He'll miss at least the next five games. ... Linda Laughlin, who is battling serous uterine cancer, dropped a puck along with husband and former Capitals forward Craig Laughlin during a ceremonial faceoff on Hockey Fights Cancer night.